The PathoGraphics research group at Freien Universität Berlin, Germany (Prof. Dr. Irmela Marei Krüger-Fürhoff, Prof. Dr. Susan Merrill Squier, Dr. Nina Schmidt, Stef Lenk, Alexandra Hummel) presents this international conference. This conference examines the ways in which knowledge and experience of illness and disability circulate within the realms of medicine, art, the personal and the cultural. Speakers address this question from a variety of different perspectives, including literary scholarship, comics studies, media studies, disability studies, the health humanities and sociology. With a Keynote by Leigh Gilmore (Wellesley College): “Tainted Witness: Risking Aversion in Autobiographical Comics”. Places will be made available for free and on a first-come, first-served basis. To register, please email alexandrahu@zedat.fu-berlin.de by 20 October 2017. How do scientific/ medical professionals use comics and/ or literature to engage the public and impart new research or public health measures? How do narrative and graphic illness stories influence medical and scientific concepts of health and disease? How do these diverse spaces of experience and knowledge interact with each other? What aesthetic strategies do literary works and comics use to reveal the inner perspective of living with illness/ disability/ medical treatment? How do narratives represent emotional situations of invisible suffering, such as psychic disorders, trauma, involuntary memories and flashbacks, but also autoimmune diseases or cancer? Literature has devel­oped aesthetic techniques such as inner monologue, stream of consciousness, and metaphors; do comics employ comparable or different aesthetic strategies? Leigh Gilmore is the author of numerous books and articles on life writing, trauma, law and literature as well as feminist theory. In this keynote lecture, she will draw on her recent book’s framework about ethics, witnessing, testimony, and doubt and gives us her reading of Alison Bechdel’s “Are You My Mother?” (2012). In “On Being Ill”, Virginia Woolf characterizes periods of illness as having a time of their own, “slowing down” life, revealing humans’ finiteness and inspiring unprecedented creativity. How do other literary and graphic illness narratives reflect the perception of time during illness? How is the disruption of acute illness or the caesura brought on by a new diagnosis represented? 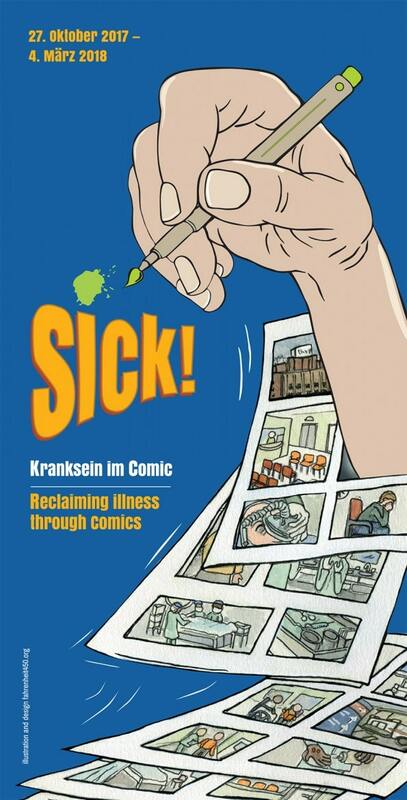 Do comics and literature employ different means of representing life with a chronic condition? This panel turns its attention to the tellability of stories of illness/ disability and the narrative strategies and tropes we encounter in literary and graphic narratives that convey the fundamental uneasiness of ableist societies with these themes. How do authors/artists represent what is conspicuously absent/present, because for example shameful, taboo, or collectively suppressed? What means are found for narrating liminal experiences that may not be easily anchored in place or time, such as out-of-body experiences, failures of memory or of the body? What kind of subject is produced in contemporary illness narratives that rely on the confessional mode? As Michel Foucault has argued, such a mode is double-edged: it presumes a powerful speaking subject who is simultaneously subjected to the very institutions s/he addresses, ranging from healthcare to patient support groups and including the audiences of illness narratives. What kind of identity is enabled or foreclosed by concepts such as “survivorship”? What avatars are created in illness comics – do they differ from protagonists in written texts? Do literature and comics take part in or go beyond a process of normalization that is entailed in the confessional mode and the term “compliant patient”? Can illness narratives give voice to the experience of entire communities or comment on national healthcare systems (and their potential flaws)? Are there texts and comics that offer alternatives to narratives that focus on a single protagonist – if so, how do they do it? 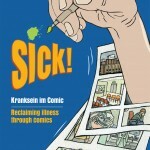 To what extent are illness narratives in literature and comics emancipatory and subversive, and to what extent do they tie into contemporary endeavors in bio-medical self-management, prophylaxis, and prevention?